Long metal barn stars are a spectacular way to add a touch of country or even even an elegant touch to your home decor. Our stars are NOT like those made of thin tin metal stars. 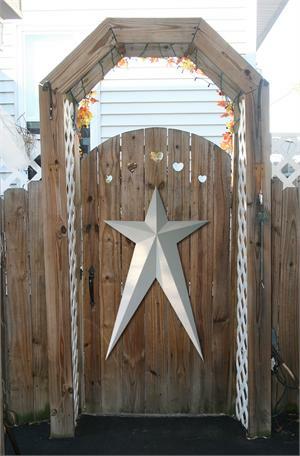 Our metal barn stars are made by the Amish here in Ohio and made from HEAVY DUTY 22 gauge metal with a galvanized coating. We then paint the stars here at www.MetalBarnStars.com with quality exterior 25 year paint so you can proudly display your stars outside or inside. This also means NO RUST running down the side of your house over a period of time from the back of the star! Solid color stars get an industrial strength primer and then painted the color of your choice for a crisp clean look. Save on shipping costs by purchasing more than one. Give the shipping rates a try in your shopping cart and you will see the savings! (No personal info required to check shipping rates in real time to your zip code.